One of the most interesting concepts of phones we saw last year was of HTC Ocean with a unique button-less concept and Sense Touch. Today, we have got the first real image of the device via none other than Evan Blass. So, no doubt this is going to be 100% true. First of all, it should be cleared that there is nothing like the Sense Touch or stuff like that coming in the HTC U and it will be just like the normal smartphone. As the above image reveals, the phone features a front-facing fingerprint scanner that will most probably work as the home button. The phone has got very narrow side bezels that look good. There are normal sensors on the top along with the earpiece and front camera. The volume rockers along with the power button have been placed on the right side. The back has got a glossy finish just like the HTC U Ultra which is surely going to be a fingerprint magnet. 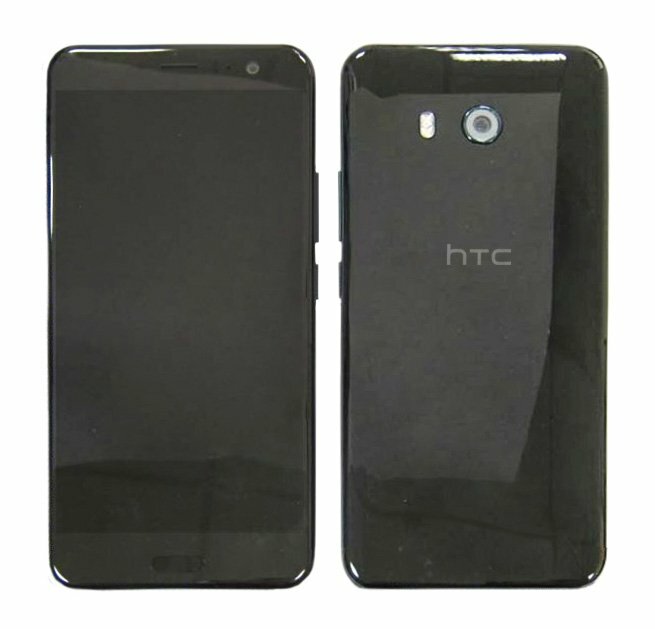 Nothing special on the back with just the rear camera lens, LED flash and the HTC logo below it. Now, talking about the specifications, the HTC U features a 5.5-inch Quad-HD display and it powered by the Snapdragon 835 processor. There is a 12MP rear camera with the IMX362 sensor from Sony whereas the 16MP front camera has got the Sony IMX351 sensor. There will be two different ROM variants including 64GB and 128GB. Overall, nothing impressive as it looks like an ordinary phone. So, what we saw in the HTC Ocean concept video was just imagination, and nothing like that is coming, at least not this year. What is your take on the phone? Do let us know via the comments section.